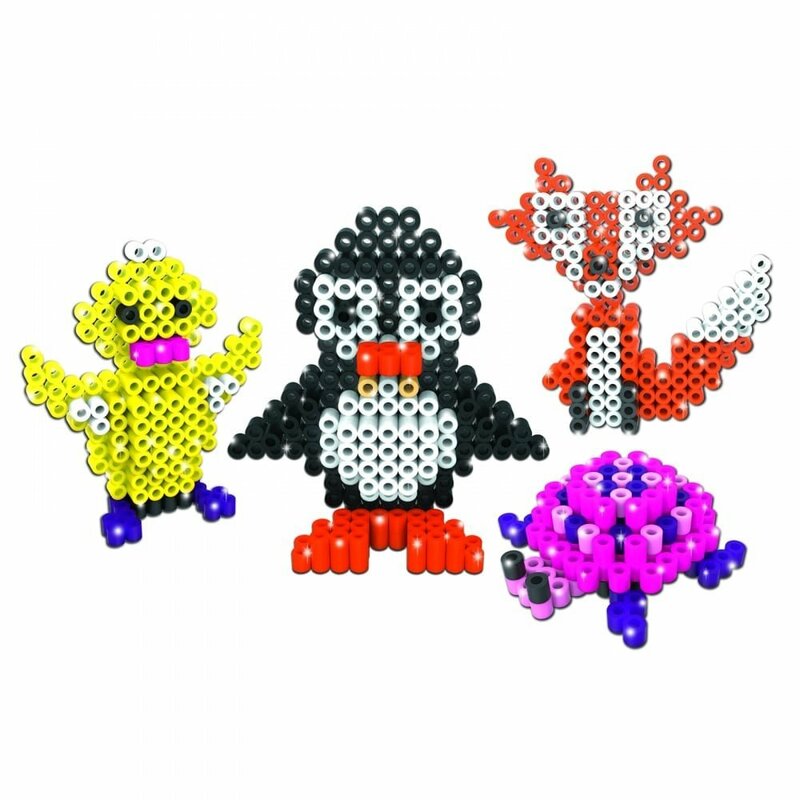 Last Christmas my youngest, then seven, really wanted a toy he’d seen advertised on TV which had beads that you stuck together just with water. After a bit of searching, we discovered it was Ezee Beads. It was added to his list. He also told Santa in person that he’d like it, and Santa duly delivered it on Christmas Day. 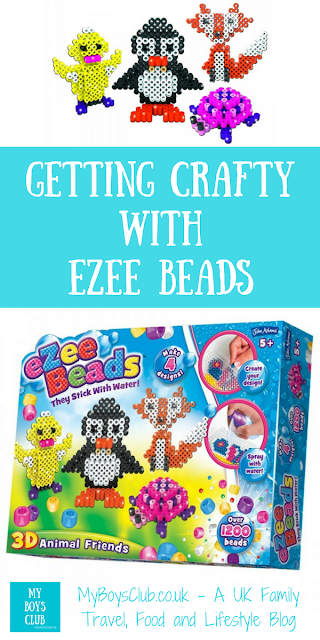 With Ezee Beads you can create your own colourful shapes which magically stick together with water! The Animal Friends set we selected included 4 different designs in it – a chick, fox, penguin & turtle. 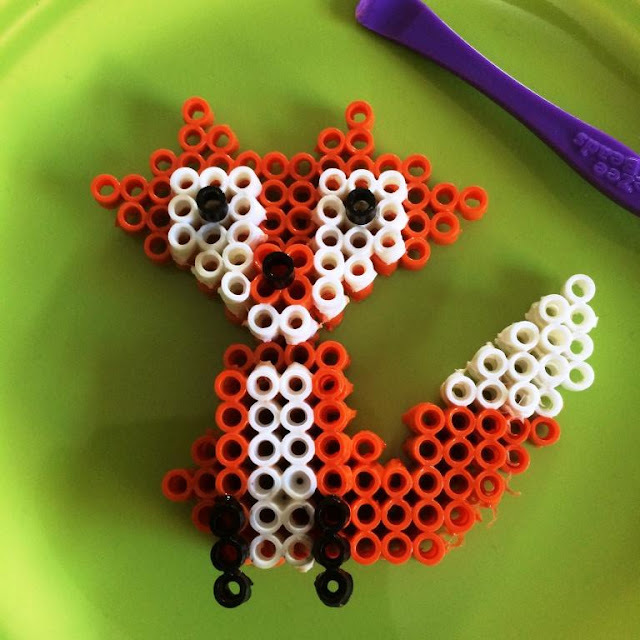 And over 1200 beads. The Animal Friends set came with coloured beads, plastic tray to store the beads, a pegboard, 4 design cards, plastic spray bottle, pins and tool. 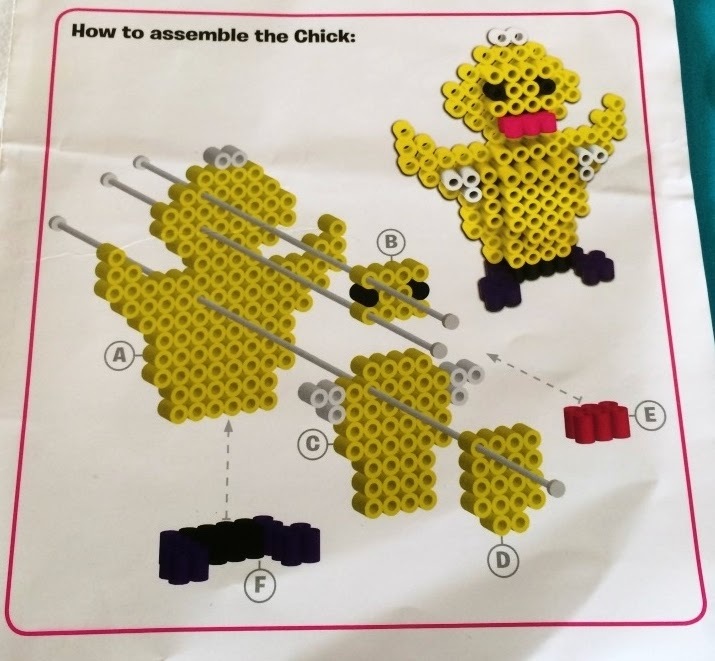 They come will simple instructions, easily followed by a child. 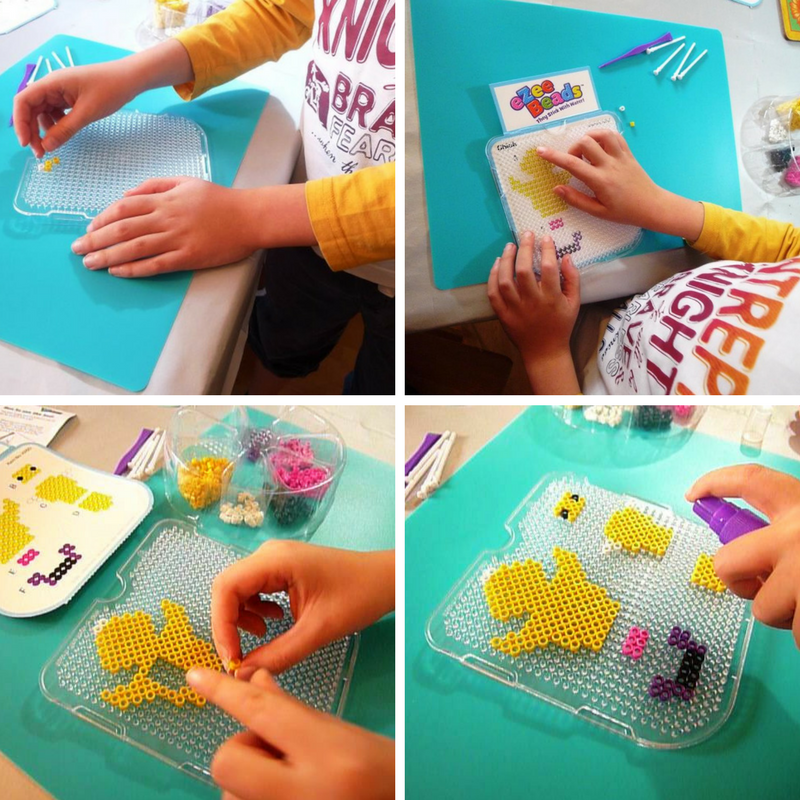 You select a design card, push the beads onto the pegs of the tray following the diagram, and then spray with water. Then you leave it to dry then carefully remove your bead design from the tray. Finally, you stick the layers together, again just using water, and you have created amazing 3D animal shapes! The beads are suitable for children aged over 5, and our 7-year-old boy loved them. What’s really great is that with these sets a child can choose to play with them at the drop of a hat and there is very little set up required and little supervision needed. My youngest was very happy to work on his own, creating his masterpieces, patiently waiting for each to dry before starting the next design. The toy was a big hit. 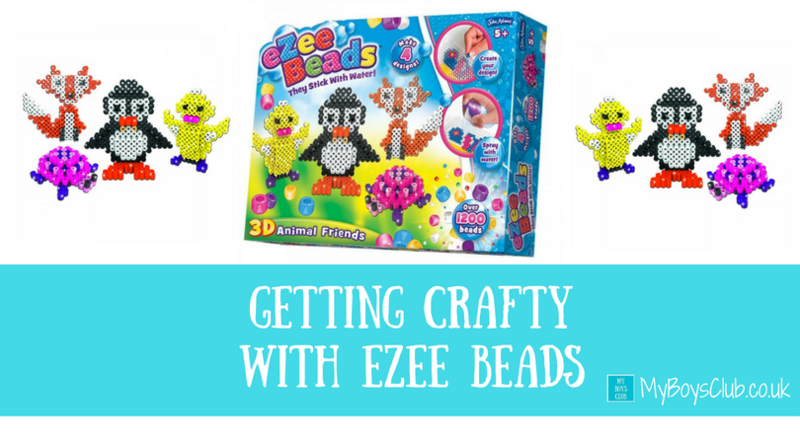 Ezee Beads it turns out are just that. 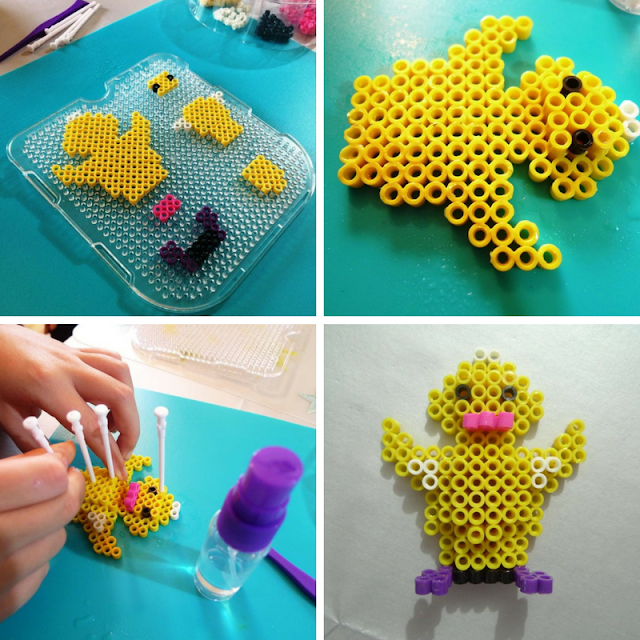 Beads that you put together really easily and fix just by using water. 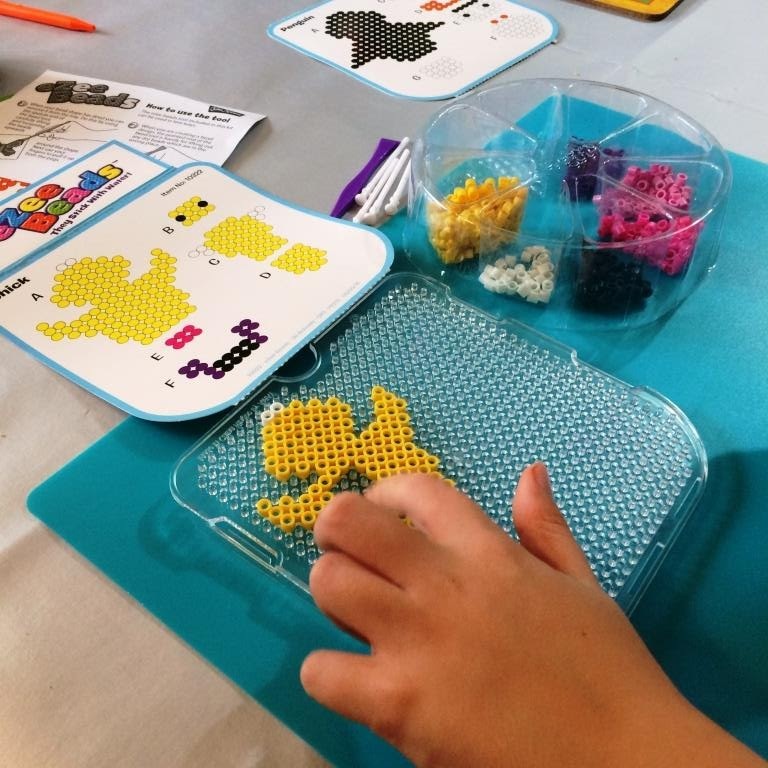 Such a simple idea but one that a seven-year-old can easily accomplish on their own to, so they get a real sense of achievement. The Animal Friends set my son received from Santa (!) 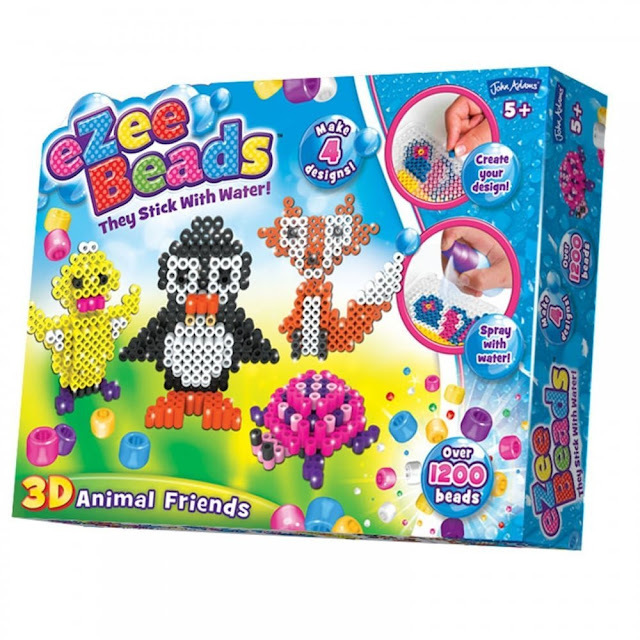 is currently £9.45 but you can also get Jungle, Princess, Paw Paw Patrol and Under The Sea themed sets too. What Christmas present has your child loved the most?